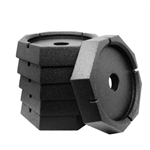 The Equalizer Systems 2162 Slide Cylinder 1 3/8 x 18 is a replacement slide cylinder. This was originally 1 1/8" bore. The body length is 24".